In this tutorial, I showcase using triggers, notably the autorun parallel trigger. The idea is to set up a meeting with three characters. Once they’re all summoned, a message automatically appears telling you to return to the house for the meeting. There, all of the summoned characters appear. 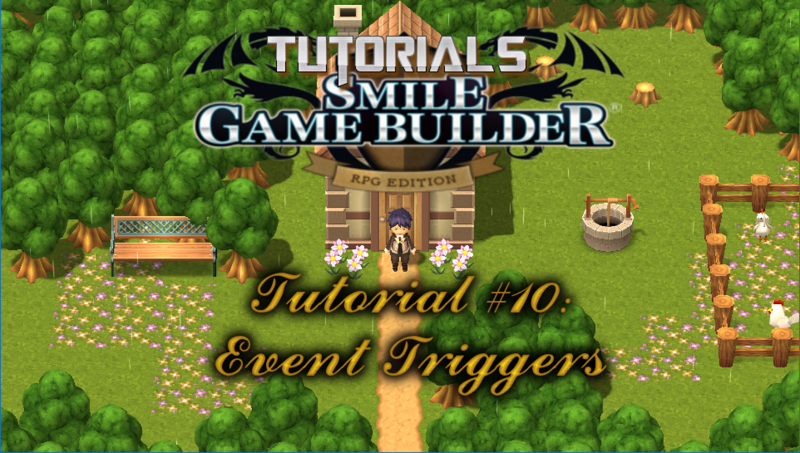 I’ve used a number of switches and event triggers to achieve the goal of this tutorial. Note, however, a conditional switch set to off on the first page is unnecessary. It’s just good practice to put this in, mostly to keep track. Because the video contains a bit of preamble, skip to the tutorial if you want to. I have yet to decide the subject of the next tutorial. However, as inspiration comes I’ll announce it on my Facebook and Twitter. In fact, to keep up-to-date with the latest tutorials, why not subscribe to each and follow me?